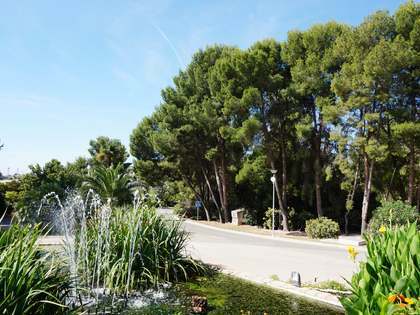 Widely regarded as the best residential community in Valencia, both in terms of security and tranquillity, Los Monasterios is home to desirable luxury properties and a superb private social club. Its proximity to the city and the beach, make it the most coveted place to own a home in Valencia. 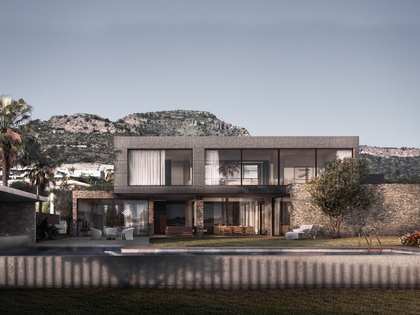 Located between the areas of Sagunto and Puzol, Los Monasterios is an upmarket residential community in Valencia, consisting almost entirely of high-end villas overlooking the Mediterranean Sea, with 24-hour security and a luxury social club. 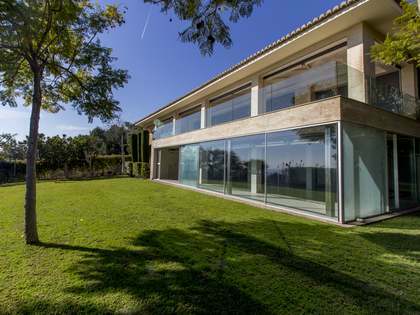 This privileged location places fortunate residents close to the best bilingual schools in the province, only 15 minutes from Valencia City and 10 minutes from the excellent beach of Puzol. Many international clients come to Los Monasterios seeking a permanent residence here as it is the ideal place to settle in quiet, safe and affluent surroundings. With the airport a mere 20 minutes away, this is an excellent area for international clients to acquire a home for relocation or a holiday property. Furthermore, there is a bus service that connects with the Renfe train and metro service to the city. This magnificent neighbourhood is known for its tranquillity and its excellent facilities, perfect for those that work in the city and appreciate a peaceful, secure environment to return home to. Los Monasterios is a truly unique residential setting with aspects that make it very exclusive and differentiate from other similar neighbourhoods. It is immersed in the fully protected natural area of the Sierra Calderona, safeguarding the future of the area as a low density, peaceful neighbourhood. The Monasterios neighbourhood has a private club that covers 70,000 m² and offers an impressive range of amenities including restaurants, 5 swimming pools with bar service, 5 tennis courts, 7 padel courts, football fields, a basketball court and a children's play area. Our highly professional multilingual team are experts in the local property market and may accompany clients through the purchase or rental process from beginning to end, always striving for complete client satisfaction. At Lucas Fox we offer an attractive selection of real estate for sale and rent in the residential area of Los Monasterios. Our property catalogue includes building plots, free-standing villas and traditional Mediterranean family houses, always seeking only the finest homes for our discerning clients. Our homes for sale in Los Monasterios typically boast generous private gardens with swimming pools and attractive summer dining spaces, as well as elegant contemporary interiors with every imaginable modern convenience. The vast majority of homes available for sale and rent in Los Monasterios are spacious luxury properties on large plots; ideal for families. 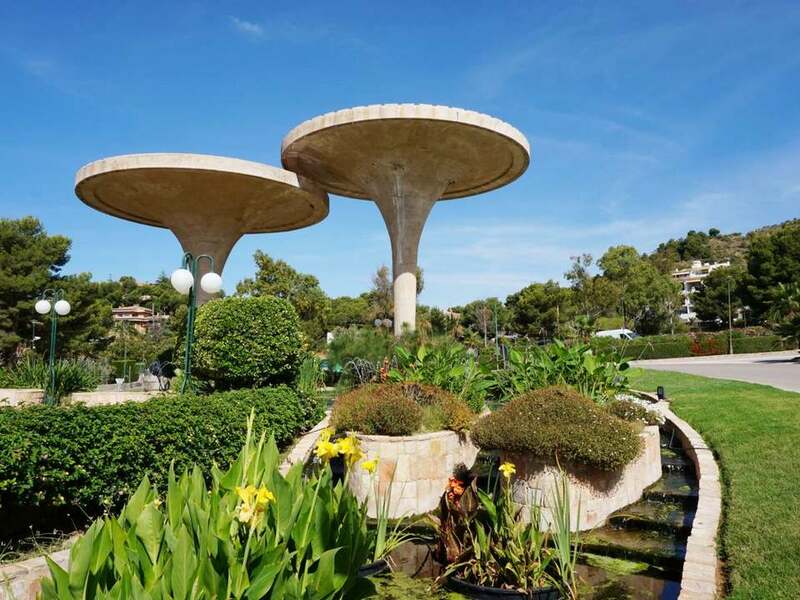 Created in the 1980s, the residential area offers a mixture of architectural styles ranging from the charming traditional Mediterranean houses to cutting-edge contemporary villas, built by the most reputable national and international architects. Explore our catalogue of houses, building plots and stunning free-standing villas with gardens and private pools in Monasterios and contact us today to begin your exciting property search in the most privileged location in Valencia.